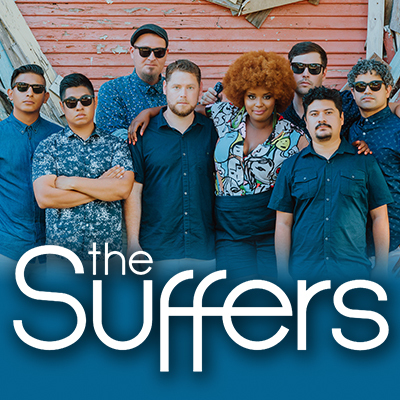 Steven Reineke and the Houston Symphony are premiering a brand-new orchestra show created for Houston-native band The Suffers at The Cynthia Woods Mitchell Pavilion June 17 at 8 p.m. With an eclectic approach to blues, soul, country, Caribbean, Cajun and hip-hop, the band brings a fresh approach to what they have coined Gulf Coast Soul. With a year that included performances for NPR’s Tiny Desk, Newport Folk Fest, Austin City Limits Music Festival and The Late Show, the band has delivered more than 150 stirring performances of its signature Gulf Coast Soul sound to thousands of new and old fans alike. It will be a hometown show like no other! Tickets are $25 for orchestra seating. Mezzanine and lawn seating are free. Tickets are not required for free seating. Pre-concert activities begin at 7:00 p.m. in the North Plaza. At all performing arts shows, guests are welcome to bring a picnic from home or their favorite restaurant to enjoy in their seat or on the lawn. Keep in mind however, that beverages are not allowed to be brought into The Pavilion. Lawn chairs are also provided free for this event.